According to Behnke, several desiccated basins west of Alvord Basin and north of Lahontan Basin hold redband trout as their native trout species. 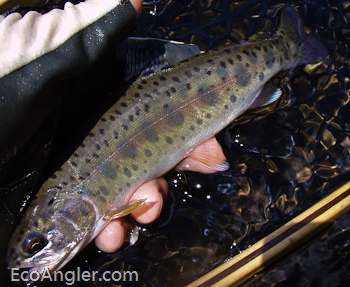 One of those redband trout holding basins is the Malheur Lake Basin. The redband is a unique subspecies adapted to the Malheur Lake Basin ecosystem. 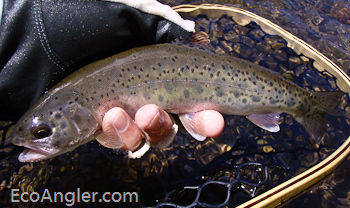 In these closed high desert basins, redband trout have evolved to survive in environments with vast extremes of both water flow and temperature. According Behnke, Malheur Lake Basin redband are one of only eight separate desert basin populations of interior native redband trout. The Malheur Lakes basin is the largest of the Oregon desert basins and contains the most diverse and greatest amount of trout habitat (Behnke 1992). Malheur and Harney lakes are remnants of pluvial Lake Malheur, which dried approximately 8,000 years ago. Three major stream systems flow into Harney and Malheur lakes. The Silvies River in the north drains into Malheur Lake from the forested Blue Mountains. The Donner and Blitzen River in the south drains the sagebrush dominated communties of the Steens Mountain. The Silver Creek system originates at lower elevations on Snow Mountain and drains into the highly alkaline Harney Lake. The Malheur Lakes redband comprises ten population groups in the closed interior basin of Harney and Malheur lakes. Historically, all streams were interconnected and these fish moved to the lakes and among population segments. Malheur and Harney lakes are no longer accessible to trout due to irrigation diversions, channelization, draining of marshlands and high alkalinities. An exotic carp population is present in Malheur Lake and has caused extreme habitat damage. Even if trout could gain access again, redband populations would not survive in this marginal habitat. As for Harney Lake, its been inhospitable to redband trout for many years due to high alkalinities. 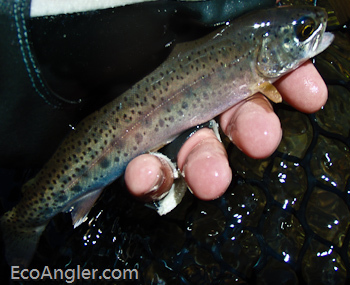 Today, redband trout in the Malheur Lakes Basin are widely distributed in small and medium size streams.